There are many reasons why a person might buy a nursery business for sale in Florida. Exploration and examination of the motives for the purchase can lead to a very satisfying experience. If you are an enthusiastic gardener and enjoy spending time outdoors or in a green house, you should seriously look into owning a Florida nursery. Whether starting on a small scale or large acreage you will need a business license or nursery license, potting soil and nursery containers, and will need access to plant materials and nursery supplies. Before you know it, your backyard hobby or lifelong aspirations can be a thriving business, and you will be making thousands of dollars in additional income each year. Every man knows money doesn’t grow on trees but for many nursery men in Florida they understand that the money does grow in the trees. For a nursery business, any increase in the size of the plant means an increase in the value of the inventory. Florida has the perfect climate for nursery businesses, and the long growing season creates an excellent opportunity for abundance. The warm tropical climate in Florida tends to make every plant grow like a weed. 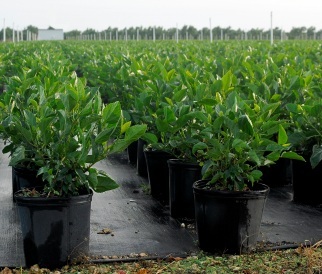 Getting the plants from seedlings to a level which demands a higher price is the essential goal of any profitable nursery business for sale in Florida. With Mother Nature on your side, whether it is a backyard garden or a large nursery business, the growing task can become that much easier and more profitable when the weather is one your side. Not everyone can invest the time and dedication to start a nursery from scratch, so some people choose to buy existing nurseries to take their gardening endeavors to the next level. If you wish to buy a nursery, we can point you to any number of awesome opportunities. There are many opportunities for a Florida nursery business for sale, and whether you are looking for a small operation or something on a larger scale with a significant acreage of real estate, the earnings potential can be unlimited. Many properties do include real estate, which can be an added incentive, because in general real estate prices will continue to appreciate over the long term. Owning a large acreage can also be important for expansion as well as having an inventory at various stages of growth. This accomplishes not only always having a product ready to sell and generate cash flow but also gives the ability to offer the customers an inventory of plants at varying price points. Some of the nurseries for sale are offered as an asset only sale, meaning the seller really doesn’t have any verifiable financial history that could be used to prove the cash flow history of the business. In such cases the value of the business would be determined by the value of the inventory, equipment, land improvements and the actual real estate property. The real estate value can easily be determined by obtaining a property appraisal, the inventory would be valued at whatever the wholesale value is, and equipment is typically based on fair market value. Although nursery properties may be sold to just about anyone, they are usually marketed to someone who is in the business or has some nursery or agricultural business experience and loves plants and/or gardening. In the case of a highly profitable nursery business for sale, the seller will usually have good books and records that show a strong cash flow or earnings. In some cases a nursery could even have some contract growing arrangements. This can drastically increase the profitability because the nursery may receive an upfront deposit to grow a large amount of a particular plant species with a guaranteed sale by a certain date. For long term land development projects this can be mutually beneficial to both the land developer and the nursery business. If gardening is your passion, and you want to turn your passion to profit, owning a nursery business could be the right move for you. One of the first steps might be to contact a Florida business broker to help you find a nursery business for sale.